RackForms provides powerful, end to end SQL coverage. Don't know SQL? No problem! 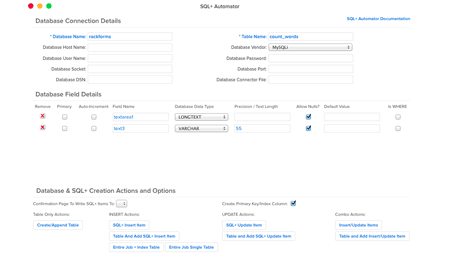 At the heart of the RackForms SQL system is the Visual SQL Query Builder. Connect to your datasource and drag and drop tables to create full queries. We can assign column aliases, WHERE clauses, and even create advanced JOINS. Experts can still hand-code queries if needed, but for the rest of us, it's simple drag and drop all day! 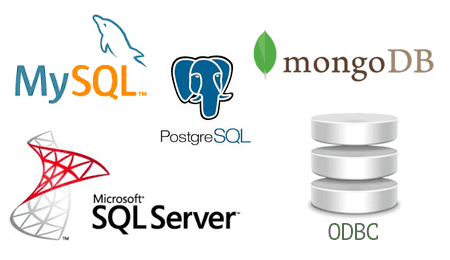 Natively connect to many of the worlds most popular database systems, from SQL Server to NOSQL solutions like MongoDB. 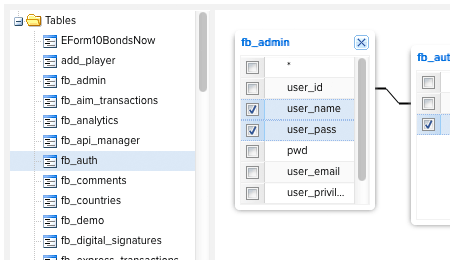 We can even connect to multiple database's from the same page, for example, query MSSQL for a list of users, and then PostgreSQL for a list of service pricing details. This flexibility ensures you'll quickly get and send data exactly where it's needed, regardless of database type or version. In addition to the Visual SQL Query Builder, RackForms also fully automates the database table creation process for each job we create. With a simple click launch a powerful wizard interface that lets us precisely define the tables and columns we wish to create. When finished, select the creation mode your job needs: create tables for INSERT only, UPDATE, or INSERT / UPDATE. This flexibility means you never need to write SQL, we do it all for you! What really sets us apart is the flexibility our database features provide. For example, we can turn any SQL query into a native PHP function, which means we can create powerful application logic that would be cumbersome and error-prone to write by hand. 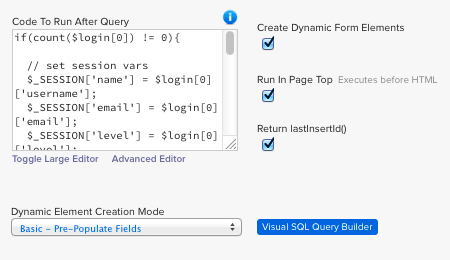 But that's not all: We can append static values to a dynamic query, automatically create form fields from a query, return result metadata such as the Last Insert ID, export results to a comma delimited list with a single click, and so much more! Learn more about the standard RackForms feature set.